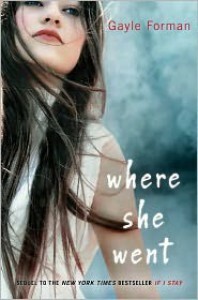 Where She Went is the second book in the If I Stay series and my favorite of the two. It was just as emotional as the first and even more intense. Despite the theme of death in If I Stay, there is something much darker about most of the second novel. Where She Went is told from the point of view of Adam and begins a few years after If I Stay ends. Mia and Adam have gone in totally different directions, living totally different and totally separate lives. From the very beginning of the novel, it is clear that Adam hasn't moved on very well. His personal and professional lives are suffering and he can't seem to get it together. Even his band mates, once his best friends, have been alienated by him and he doesn't know what to do to change anything. He is alone and lonely and suffering. 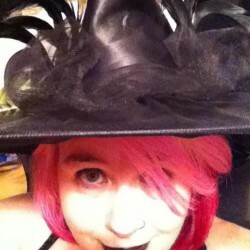 This is a story about the effect that grief has on people. Mia lost her family, a family that meant almost as much to Adam. And he lost Mia for reasons he doesn't truly know. In a way, watching Adam go through the things he did was even more heart breaking than Mia's pain in the first novel. Watching his transformation, and Mia's, throughout the book was emotional and beautiful. Like the first, it was Adam who owned my heart as a character. I just wanted things to change for him, for him to find happiness. This isn't always an easy read, but it is a beautiful one. It tells the story of two people torn apart by the worst of experiences. In my opinion, the aftermath of grief shown in this book was as important to the story as the initial tragedy itself.